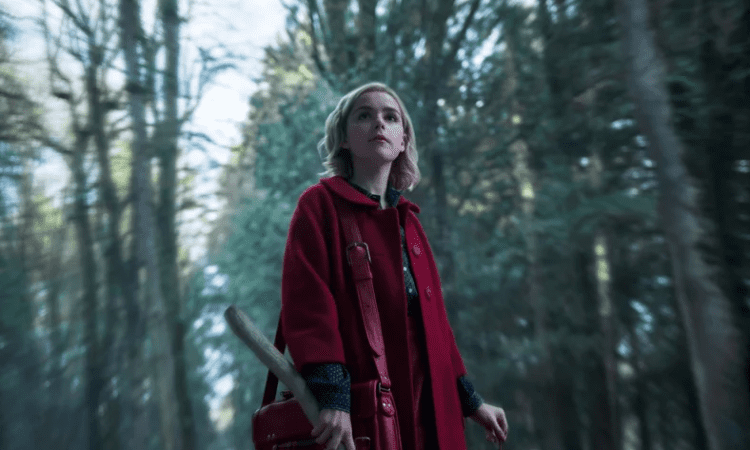 The Chilling Adventures of Sabrina is just a few months away from premiering on Netflix and to keep the hype going, they’ve released two exclusive photos from the series, proving that Sabrina is absolutely going to put a darker and edgier spin on the iconic teenage witch. 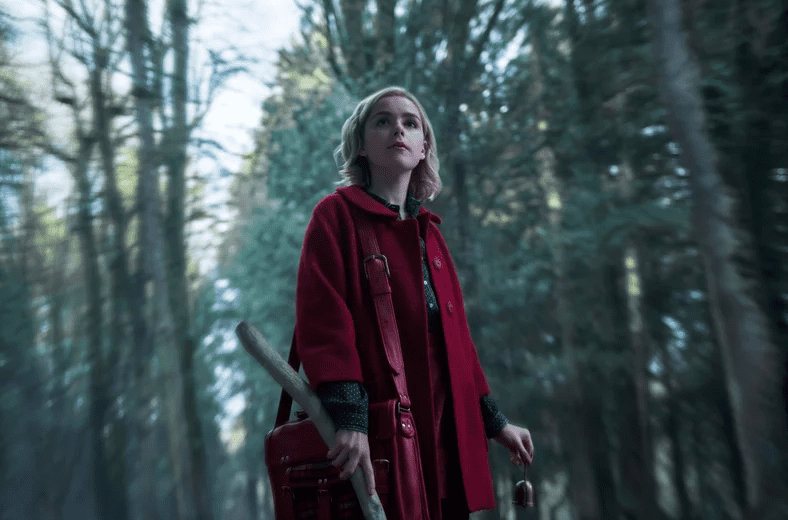 The Netflix series finds Mad Men’s Kiernan Shipka in the titular role as she struggles to balance being both half-human and half-witch with the help of her Aunt Zelda (Miranda Otto) and Aunt Hilda (Lucy Davis) as supernatural forces threaten her friends and town of Greendale. 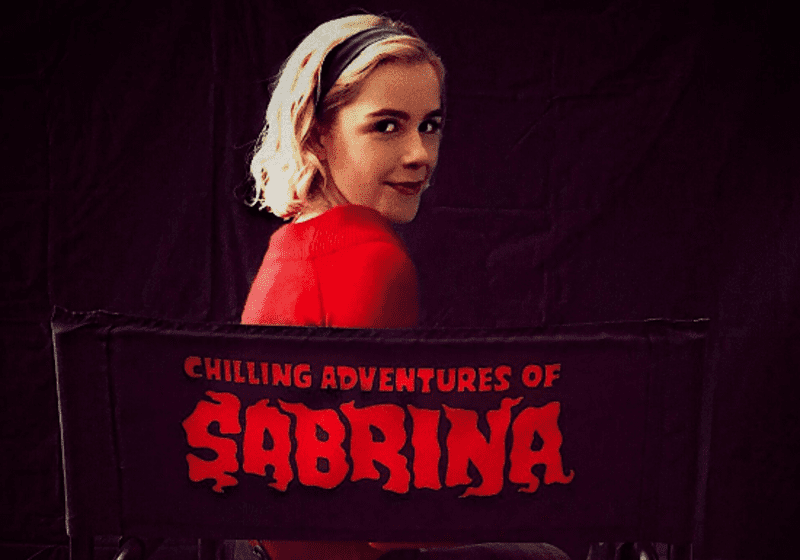 The first photo shows Shipka as Sabrina, rocking the signature red they’ve been using in a lot of the show’s marketing thus far. She’s out in the middle of the woods and looks to be holding her broomstick and a small bell. “After I read the script, I became immediately obsessed with the role, with how Sabrina is portrayed and how badass the whole thing is. It’s going to be really dark and really cool, and have this very like macabre take on everything. I’m really pumped to be a witch. 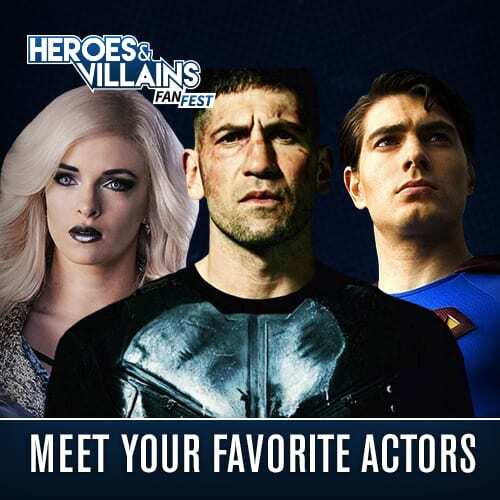 Who wouldn’t be?” Shipka told ComicBook.com earlier this year. The second photo definitely reflects the “darker” vibe that the series has been promising. Having been compared to the likes of Rosemary’s Baby and The Crucible fans should expect to see something totally different than the Melissa Joan Hart sitcom that ran on ABC Family from 1996-2003. The photo finds Sabrina on the receiving end of some sort of baptism or ceremony. In the Archie comics that the show is based on, Sabrina’s sixteenth birthday marks a turning point for her powers, so that may be what we’re seeing here. It also shows Otto and Davis in costume as Aunt Zelda and Aunt Hilda, Richard Coyle as Father Blackwood, and Abigal Cowan, Adeline Rudolph, and Tati Gabrielle as “The Weird Sisters”. 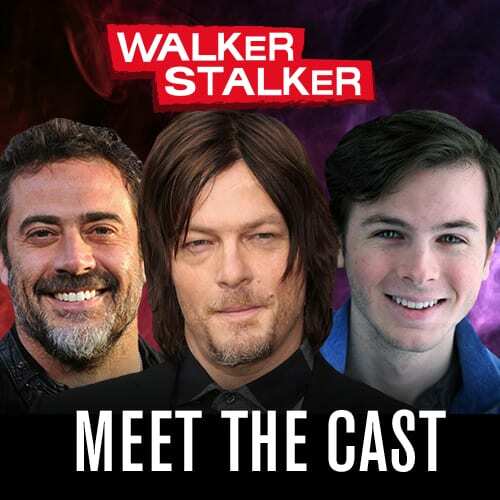 The series will also find Sabrina dating the beloved comic book character Harvey Kinkle (Ross Lynch) who remains “blissfully” unaware of her powers. Earlier this month, the show’s Twitter account shared a photo of the two shooting behind the scenes. Check that out below! 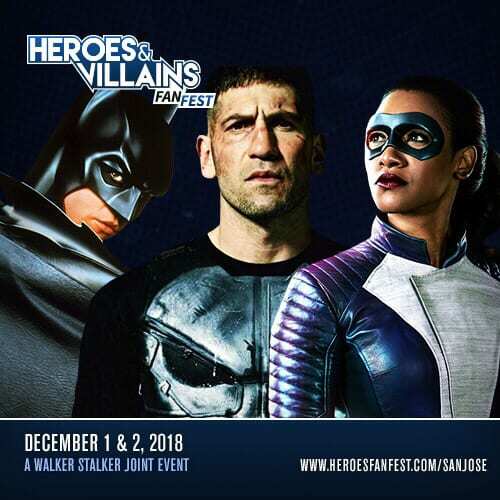 Despite being a spinoff of Riverdale and taking place in the same universe as Archie and the Gang, Netflix and The CW have no plans to cross over the two at the moment, but it wouldn’t be surprising if they do at some point down the line seeing that Riverdale is a cult favorite amongst young audiences. The series just took home 10 Teen Choice Awards. The Chilling Adventures of Sabrina will be the perfect Halloween binge when season 1 drops on Netflix October 26th!